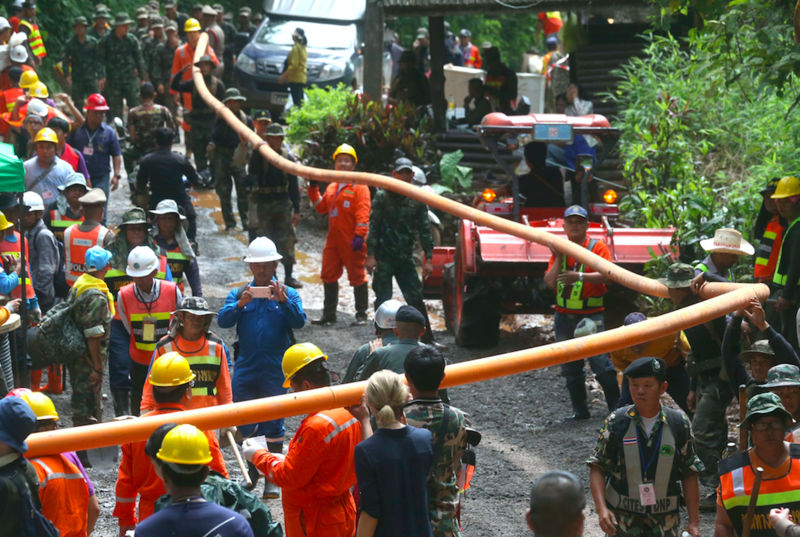 The huge effort to rescue a Thai youth football team has been successful after they all escaped the flooded cave more than two weeks after getting trapped. 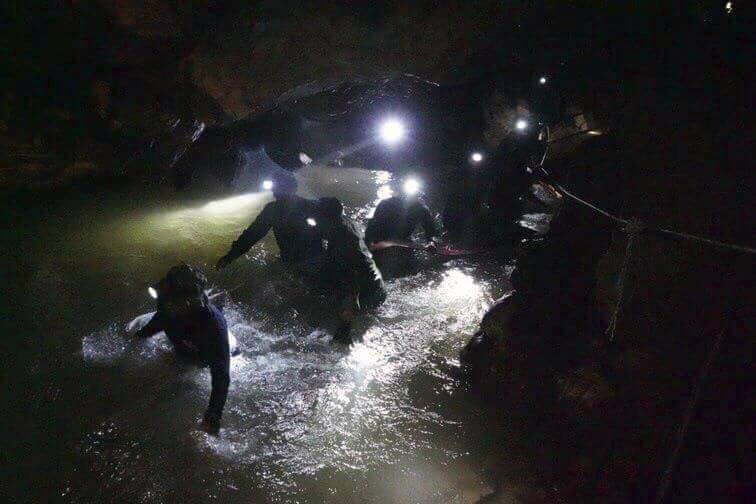 A team, which consisted of divers and aid workers, have been working tirelessly to ensure the kids and their coach made it out of the cave in Tham Luang Nang Non, which is located in the northern Thailand province of Chiang Rai. The first of the boys were rescued two days ago (July 8) while the ongoing rescue mission saw eight of the footballers out by the end of the second day. Today it was announced the final four boys and their 25-year-old coach have now emerged from the cave. Nineteen divers went into the cave system around 10.08am local time and authorities were confident of getting the remaining five all out at the same time. They also expected the mission to take a few hours less than it had the previous two days. The first four boys to have emerged from the cave have all now seen their parents with the others expected to see their families for the first time in weeks in the coming days once health checks have taken place. Two of the boys have minor lung infections while all others remain healthy. All the boys are being shielded from TV and media in order to protect their mental health. Each night of the rescue saw heavy rainfall, making the perilous dive to reach the boys and their coach more and more dangerous. We’re trying to pump water out, but more and more is coming in from above and below. Our biggest concern is now the weather. A heavy downpour comes down into the caves like a tsunami. The children are learning how to dive. We’d like minimum risk, but we can’t wait until it rains heavily and worsens the situation. If that happens, we’ll need to reassess. The key thing is the kids’ readiness to dive. If it rains, and the situation is not good, we will try to bring the boys out. Although his technology is good and sophisticated, it’s not practical for this mission. Despite the urgency of the situation and the whole world praying for the team’s safe return, the Moo Pa (Wild Boars) football team sent out letters to their families informing them not to worry. Each one of the boys sent out a letter which they signed off with their nicknames. Mum and Dad, don’t worry about me, I’m fine. Tell my brother to get ready to take me out for fried chicken. On Friday, July 6, it was announced a former Navy Seal died while delivering supplies to the Thai football team. Petty Officer Saman Gunan lost consciousness on his way out of the cave, where he’d been delivering air tanks to those inside. His dive partner managed to bring him out of the water, but Gunan did not regain consciousness. After all 12 boys and their coach were rescued from the cave, they were taken to a nearby hospital to check for any injuries or illnesses they may have picked up during their two-week ordeal. Well done to everybody involved in making sure these young boys made it out in one piece. Also, well done to the boys and their coach for maintaining their high spirits.